If you are looking for a perfect holiday in the Langtang region, Langtang Gosaikunda Trek is perfect vacation package for you. This trek is a combination of several trekking routes into one. You will be going through the Langtang valley, Gosaikunda and return back from Melamchi. 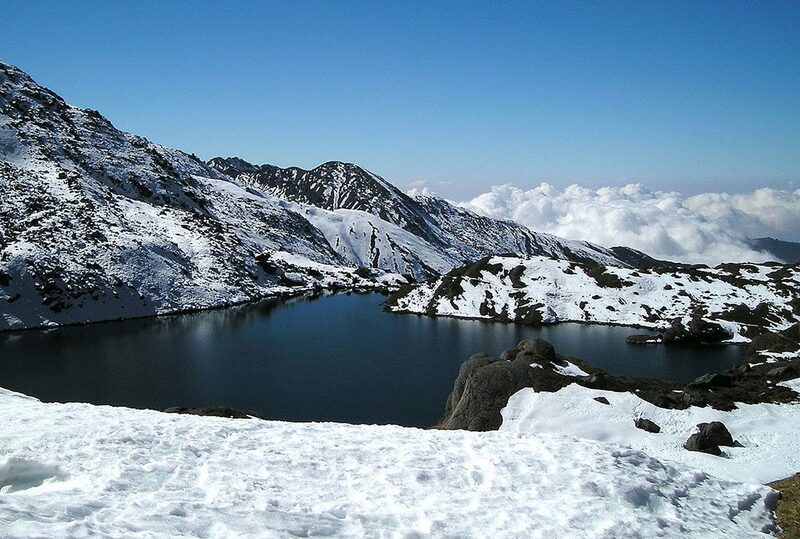 You will explore the majestic Himalayan ranges along with the high mountain lakes from Gosaikunda till Phedi. Trekking through the lush forests and local villages will make your journey more fruitful. If you are trekking in the right season, you will also be able to spot some exotic wildlife too. 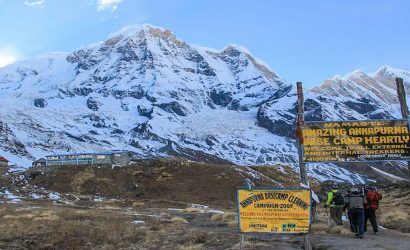 The Langtang Gosaikunda Trek starts from Kathmandu. Your trekking trip starts after a 7/8-hour o scenic drive to Syabrubesi. You will get the chance to view the countryside and settlements along the way. Syabrubesi is a Tamang village situated at the bank of Bhote Koshi River. It is the point from where your actual trek on foot begins. 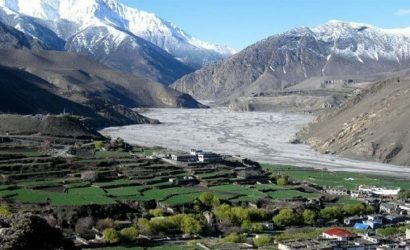 You will then reach Lama Hotel, Langtang Village, Kangjin Gompa and Tserko Ri peak while ascending up to Langtang valley. The trekking trail passes through the thick forest of rhododendron and oak trees in lower altitude. You will find numerous waterfalls and water mills on the way. Chortens, Buddhist prayer wheels, prayer flags, mani walls can also be spotted on the way. This will introduce you to the religion and culture of the region. The Langtang Valley Trek is followed by Gosainkunda Trek. Gosainkunda(4,380 m) is the holy lake for the Hindus. Hundreds of Hindu pilgrims visit the lake for a holy bath during Janai Purnima festival in August. Descending from Kangjing Gompa to Syabrubesi, you will follow a route that leads to Shin Gompa, Cholanpati, Lauribina and then Gosaikunda Lake. The trail passes through a dense rhododendron and pine forest. Different types of fauna and flora can be spotted on the way. However, the vegetation above 4,000 m altitude is less. From Gosaikunda, the trekking trail passes along the lake and follows an ascending path to Laurebina La (pass), which is at 4,610 m altitude. The path then descends through Ghopte, Tharepati, Melamchi Gaon, Tarkheghyang, Sermathang and Melamchi Bazaar from where you can return back to Kathmandu in about 2 hours drive. Your arrival in Kathmandu is the starting point of your trekking journey to Langtang Gosaikunda Trek. You will be welcomed in Tribhuvan International Airport and will be transferred to a hotel. After checking in, you can rest for the day. Check the gears that you have prepared for trekking. If something is missing, u can collect it from stores around Thamel. Early, after breakfast, you will be leaving Kathmandu for Syabrubesi. Syabrubesi is the starting point of treks in Langtang Region. You will have a great experience on your journey for the road is full of twists and turns and numerous switchbacks. You get to enjoy incredible views of the mountain range on the way from the bus. 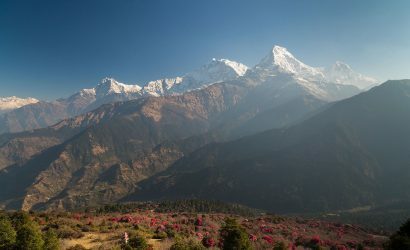 Ganesh Himal, Manaslu and Annapurna mountains can be viewed on the way to Rasuwa from Kathmandu. You will then reach a small village in Rasuwa district, Syabrubesi, this will be your final destination for the day. After 7-8 hours of long drive, take your time to rest at Syabrubesi. On this day, you will begin your trek to Lama hotel from Syabrubesi by crossing the Bhote Koshi Bridge and march along the Langtang River. You will ascend through dense rhododendron forests, where you will get a chance to view various species of plants and animals. The trekking trail passes through a small village called Thulo Syabru. 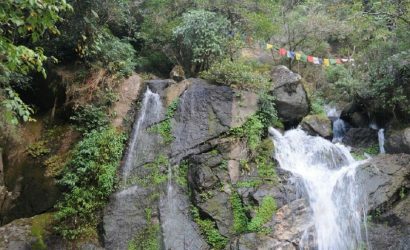 After crossing a suspension bridge over the Langtang Khola (small river) in Thulo Syabru, you will ascend a steep trail that will head you to Changtang, which is popularly known as “Lama Hotel”. You will be staying overnight in Lama Hotel. After breakfast in Lama Hotel, you will ascend enjoying the mountain views and plenty of waterfalls. You will reach a small grassland called Ghoda Tabela. You can view the glimpse of snow-capped peaks of Langtang Range from here. After a short rest, you will continue to ascend unless you finally reach the Langtang Valley. 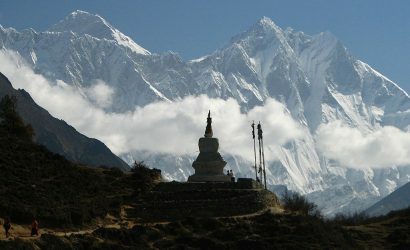 You will also pass through few temporary settlements and Buddhist monasteries on the way to Langtang Village. Langtang Village was highly affected by the April 2015 earthquake. You trail continues unless you reach Mundu from Langtang village and that will be the destination for the day. Today's journey to Kyanjin Gompa from Mundu starts early in the morning after breakfast. It is a Buddhist Monastery, where people from the Langtang Village come to worship. On the way to the gompa, you will pass by a lot of Buddhist prayer flags, chortens, prayer wheels and mani walls. These are the signs of religion and culture in the Himalayan region. After reaching the gompa, the view of white peak mountain vistas will give your heart and mind a pleasant and peaceful feeling. You will be staying for the night at a tea house at Kyanjin Gompa area. Acclimatization is extremely important while hiking. You will find it quite easier to hike in the high altitude if a day is spared for acclimation. It allows your body to adjust to the increasing altitude and prevents you from altitude sickness. It is a rest day, this doesn't mean that you will stay idle all day. You can take brisk walks to nearby places. So, today at an altitude of about 4,000 m, you will take a day off for acclimatization. In this spare time, you can explore the nearest peak "Tserko Ri". To witness the enchanting sunrise and awesome landscape of the Langtang range, you should prepare for your hike to this peak before dusk. The mountain peaks like the Langtang Lirung, Langshisha Ri, Gyanghempo, Yansha Tenji and Nayakang Lay can be viewed from Tserko Ri. After exploring for the day, you will ascend to Kyanjin Gompa. Don’t miss out for the orange sunsets in the evening. Rest for the day at Kyanjin Gompa area. After breakfast, you will trace back the same way, passing through Mundu, Langtang Village, Ghoda Tabela and finally to Lama Hotel which will take about 5 to 6 hours. You get to recollect the things and places that you missed while ascending. Since this is the same way back, you get to enjoy the familiar trail with chorten, prayer wheels, mani walls, water mills, the valley and the people's smile once again. After 5 to 6 hours of descending, you will make your way back to the Lama Hotel where you will stay for the night. From Lama hotel, you begin your trek with ascending to Rimche Village and descend to the banks Langtang Khola. After crossing the suspension bridge over Langtang Khola, you will find two trials; one goes to the village Syabrubesi and another to Thulo Syabru, Shin Gompa and to Gosaikunda. You will continue the trail that ascends to the village Thulo Syabru. And you will stay at Thulo Syabru today, rest and prepare for Gosaikunda trek the following day. Thulo Syabru to Shin Gompa will be a short hike. It is important to not reach higher altitudes today to get rid of altitude sickness and to acclimatize yourself. On the trail, you will pass by a chorten and a checkpoint, Garta Village, and Phulung Monastery. After that, you will reach Shin Gompa. The picturesque view of the mountain and landscapes from Shin Gompa will make your mind feel peaceful and take away your stress. Shin Gompa is named after a Buddhist monastery present in that area. This place is also called Chandanbari. This is an ideal place for refreshing your mind and body. Trek from Shin Gompa to Gosaikunda starts early in the morning after breakfast. The easy trail through the forest of Himalayan Fir will lead you to Cholanpati. Different types of flora and fauna can be explored in the forest. From Cholanpati, the trail ascends to Lauribina. On the way to Lauribina, you will enjoy the mountain landscape of the Langtang range. From Lauribina, there is the steep ascending trial up to a Buddha Temple. One of the toughest paths of this trek is this trail. The Buddha temple is a spot from where you can view a 360-degree panorama of the Himalayan vista of Annapurnas, Hiunchuli, Manaslu, Ganesh, and Langtang. The descending trails from the Buddha Temple is a relief. On a clear day, you can get a glimpse of different lakes such as Saraswoti Kunda, Ganesh Kunda and Bhairab Kunda from the trail to Gosaikunda lake. The holy lake Gosaikunda is situated at an altitude of 4,380 m. The lake has particular religious and cultural significance for the Hindu Nepalese. Hundreds of Hindu pilgrims visit the lake for a holy bath during Janai Purnima in August. This is your last day in the wilderness, take your time to enjoy the serenity and the bustling sound of nature. You will hike towards Ghopte on this day. You will ascend towards the Laurebina Pass (4,610 m) and then descends to the Melamchi valley. The trekking trail, marked with cairns, is a bumpy rocky moraine. You will witness three more small lakes on the way to Laurebina Pass. Enjoying magnificent views from the hilltop you will descend down to reach Ghopte. You will also pass through Suryakunda on the way to Ghopte. After a long trek today, staying overnight in Ghopte should be relieving. From Gopte, you will hike a trail that passes through a dense forest that will lead to a small village called Thare Pati. After exploring the village and having some rest there, you will continue your trek through the ridge above the village. A beautiful view of Soli Danda and some other hills can be viewed from the ridge. After crossing the suspension bridge on the trail, you will reach Melamchi Gaon. You will stay here for the night. Today we bid goodbye to Melamchi Gaon and head towards Tarke Gyang. The trekking trail passes through the forest that ascends to Ama Yangri. Ama Yangri is located at an altitude of 3,800 m. At the top of the hill, there is a stupa and Buddhist prayer flags. People from the nearest village come here to worship. You can get an amazing view of Langtang range from the hilltop. After a short photo break on the hilltop, you will descend and head towards Tarke Gyang, which is a beautiful Sherpa village. Your destination today is Sermanthang. After breakfast, you will head towards your destination early in the morning. On the way, you will pass through a dense forest. You can observe different types of flora and fauna on the route. Before reaching Sermathang, you will pass by beautiful Sherpa villages, chortens, a monastery and a mani wall. The trail extends up to Sermanthang. An incredible view of Ganesh Himal, Jugal Himal and the Langtang ranges can be viewed from the village. On a clear day, even Mt. Everest can be spotted. This is the final day of your trekking journey in Nepal for this time. You will have to reach the Tribhuvan International Airport about 3 hours before your scheduled flight. Our representative will help you get there on time. 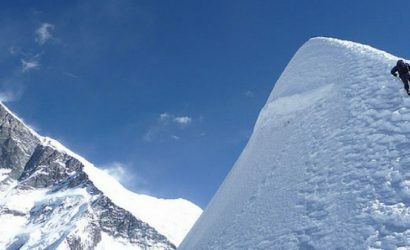 If you wish to travel to Nepal again, we can definitely arrange another trip or trek to other places in the country. Do let us know. Enjoy your memories of the days spent in Nepal and the experiences of the Himalayas.